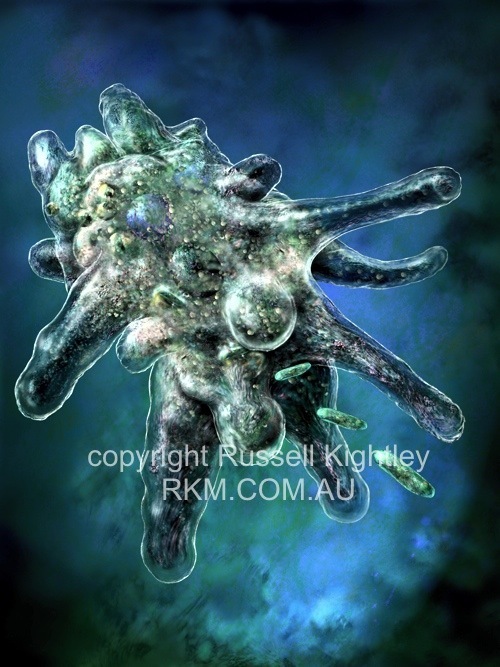 EXPLANATION OF AMOEBA IMAGE: The images show the fresh water protist (protozoan) Amoeba proteus feeding on small ciliates. Amoebas (amebas) are well known for their highly variable shapes (the word amoeba comes from the Greek for "change"). They move by extending cytoplasmic feet or pseudopodia (single: pseudopod, from the Greek for "false foot"). This type of locomotion is called amoeboid movement. Although amoebas are reasonably amorphous they often have a discernable rear end (uroid), shown here at upper left. Amoebas are unicellular organisms and they reproduce by binary fission. 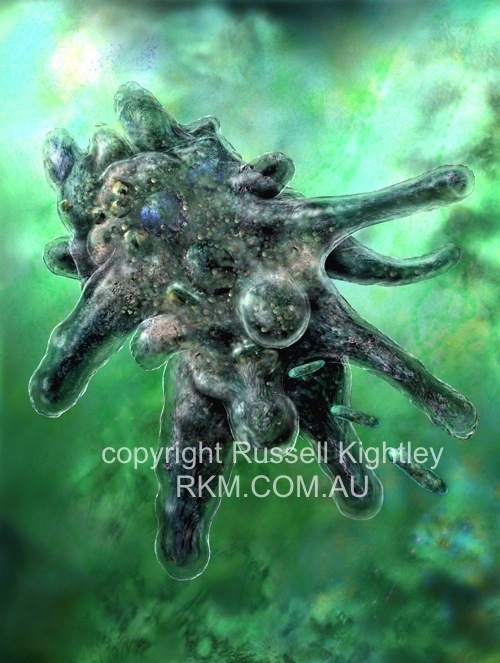 Image (Artwork) of Amoeba proteus. These images are 500 pixels across, the original images are 4200 x 5601 pixels. Subscribe to our news feed to learn about new graphics, new products, and other news!